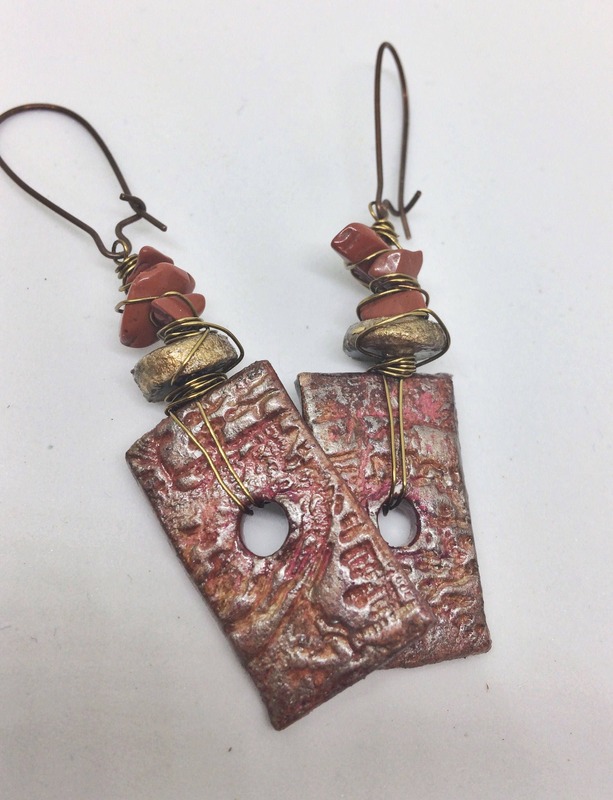 A unique pair of earrings featuring more of the handmade pendants I made from air-dry clay. 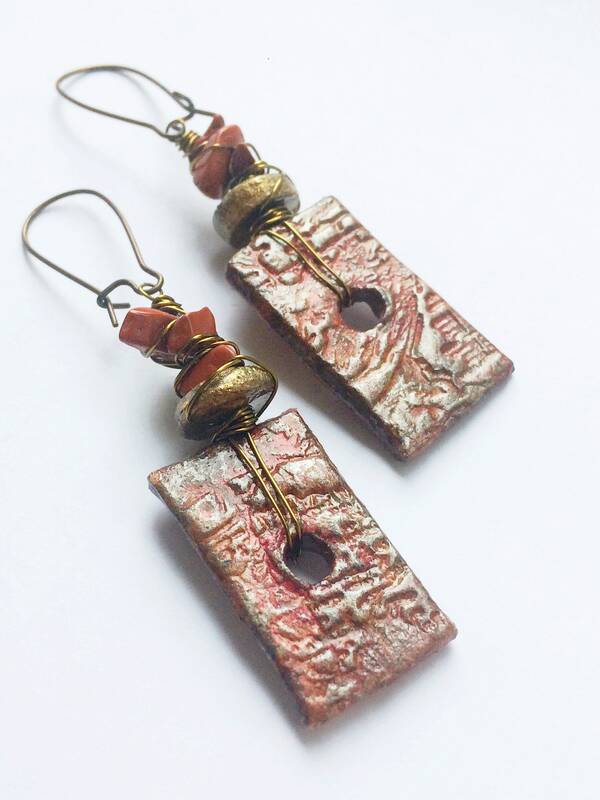 These have been embossed with a map design and then painted in warm shades of red, orange and bronze. 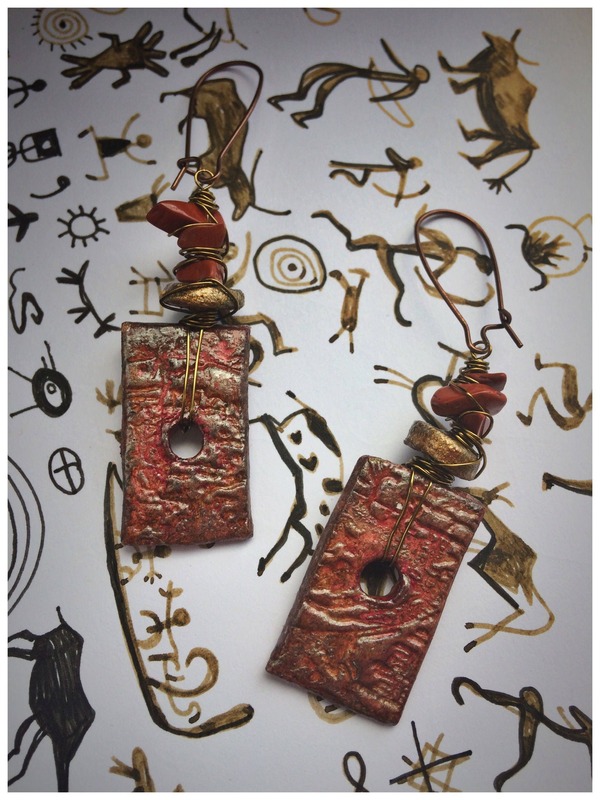 They are twice varnished for protection (please see notes on jewellery care in the shop FAQ). 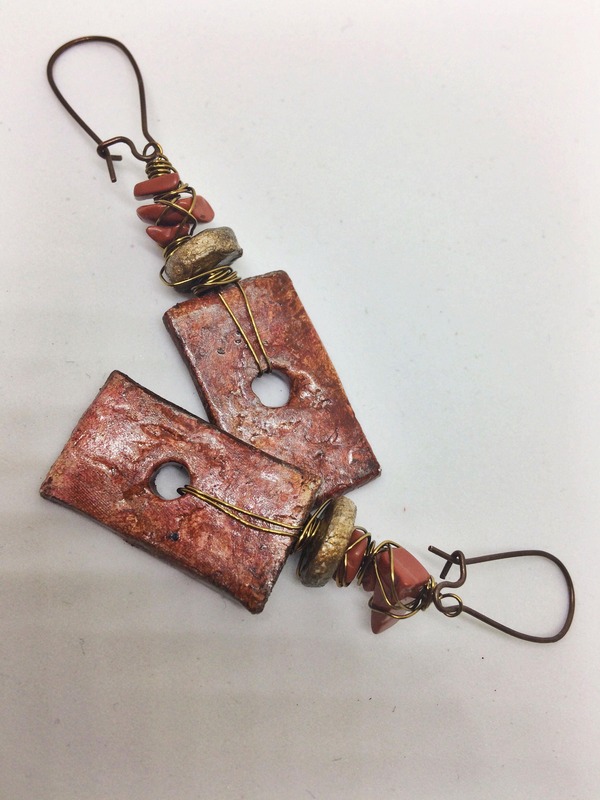 The pendants are wrapped in copper coloured wire and strung with red jasper semi-precious gemstone beads and another handmade clay bead in gold. 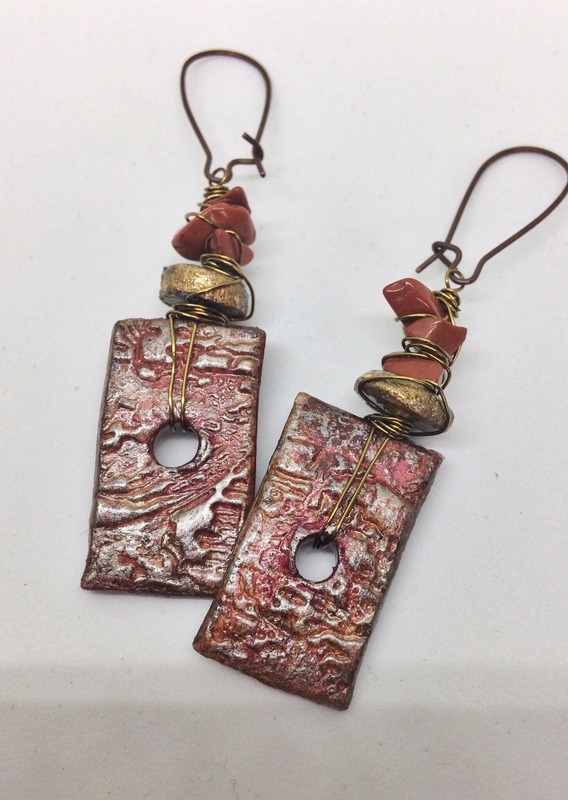 The earrings are hung on a copper coloured kidney-style ear wire. 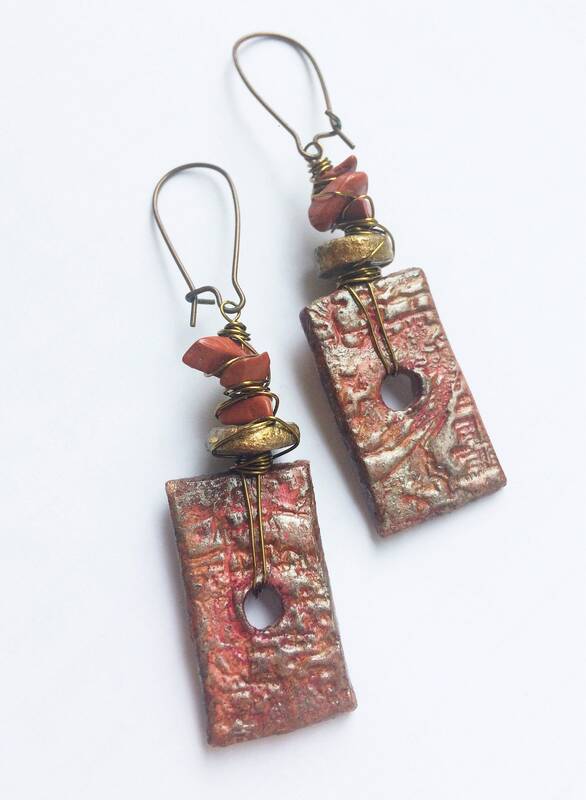 The total drop length is 5cm. 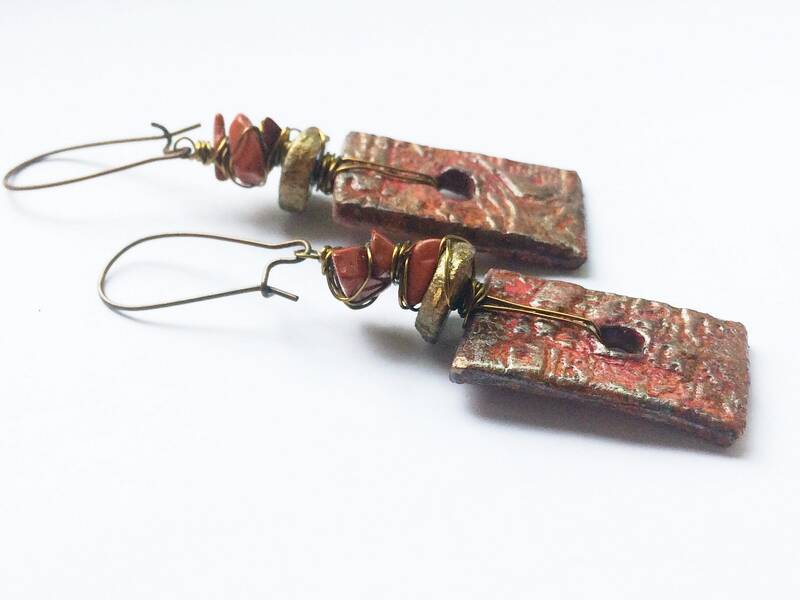 These are one-of-a-kind earrings made for the new season in warm autumnal shades. 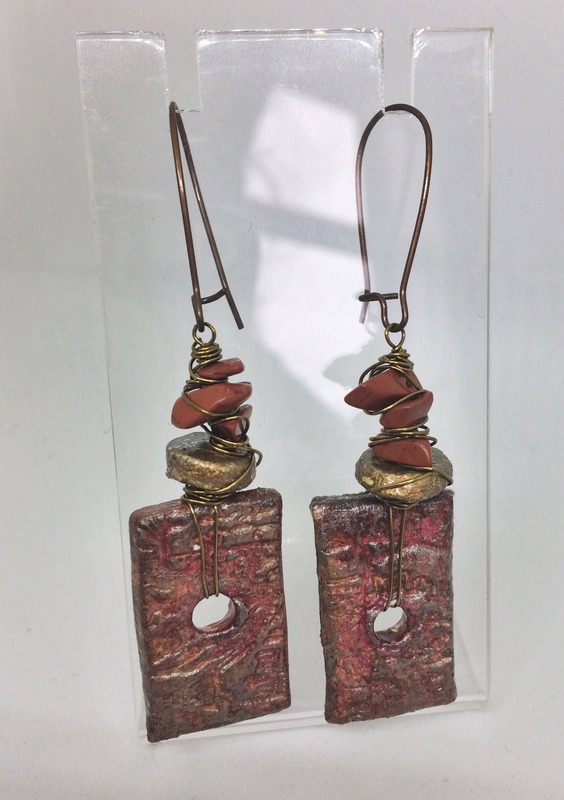 Red Jasper: This stone carries a strong connection to the Earth's energy, making its healing properties very beneficial for grounding, stability and strength. 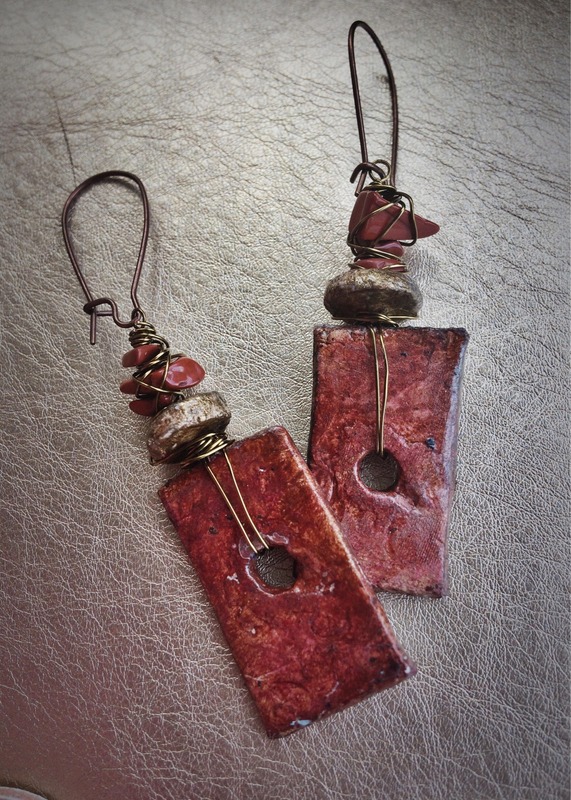 Red jasper brings a surge of energy, encouraging a positive and joyful attitude.